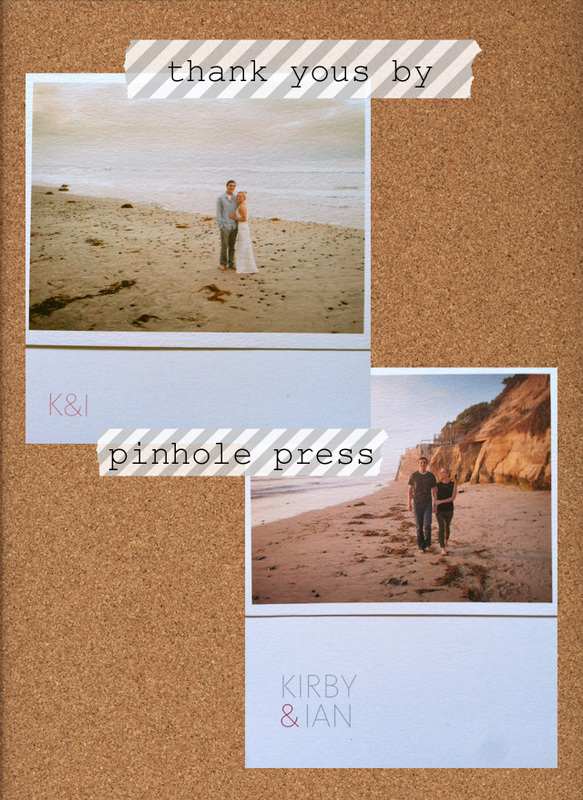 We loved our engagement photos so much that when Pinhole Press gifted me with thank you notes, I couldn't wait to use some of our favorite photos for the cards. I love how they turned out and have already sent out a few for wedding gifts. Beautiful pictures! And I love the idea of using them as Thank you cards too. These are adorable! What a wonderful idea (and I adore your dress in the first picture)! Lovely! Such a great idea. That's so sweet! How lovely! these are so beautiful!! I love the simple type too. But of course with those gorgeous photos you can't really go wrong! great idea! I love those pictures by the beach you had. They turned out so nice! I love pinhole press.